Denim is one of my favourite things in life and sometimes all you need to spruce up your wardrobe is some key new denim pieces and your look is transformed. I have chosen 5 items which are very trend led to inspire your next shopping trip. Whether your into frills or embroidery or non of the above I think I have found a little something for everyone! 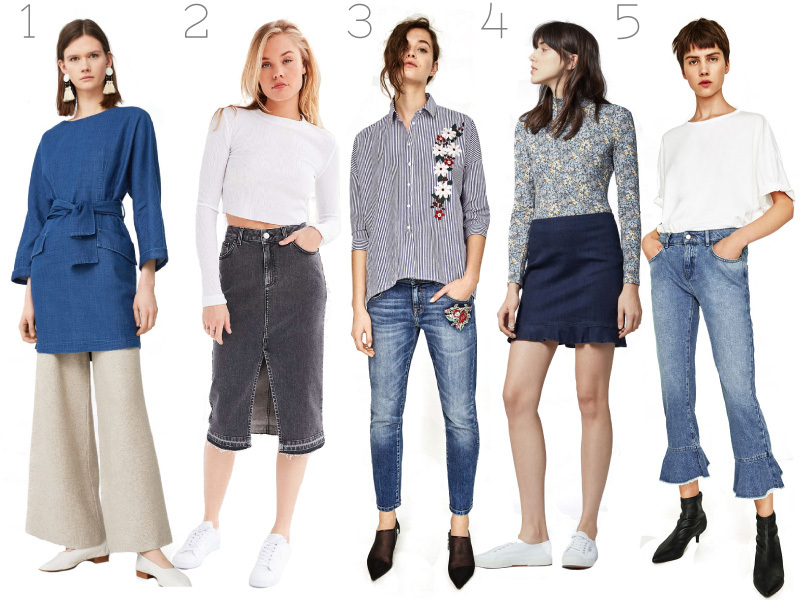 My absolute fave from this wish list is the frill jeans from Zara, for a relaxed look I would pair them with a crisp white tee and some comfy white trainers! Which is your favourite?